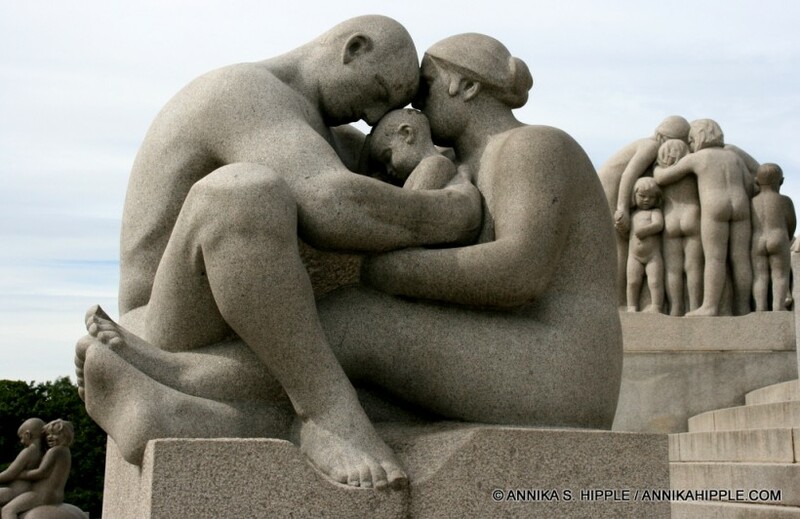 Gustav Vigeland (1869-1943) may just be Norway’s most important artist you’ve never heard of. There are very few works by this talented sculptor outside his native country, the result of an arrangement Vigeland made with the Oslo City Council in 1921. Vigeland agreed to bequeath all his works to the city in exchange for the lifetime use of a studio and apartment specially built for him at Frogner. For the last two decades of his life, Vigeland lived and worked in this space; after his death, it became the Vigeland Museum, now one of Oslo’s top attractions along with the adjacent sculpture park. Vigeland was born in the small community of Mandal at the southern tip of Norway. At the age of 15 he moved to Kristiania (Oslo) to apprentice with a woodcarver. 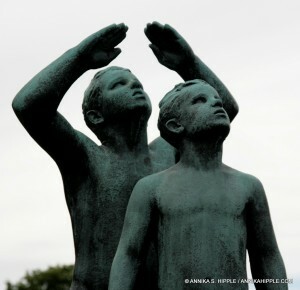 His father’s early death forced the young Gustav to return home for a few years to help support his family, but once back in Kristiania he managed to gain the attention of the sculptor Brynjulf Bergslien, who undertook to assist Vigeland with both financial and artistic support. 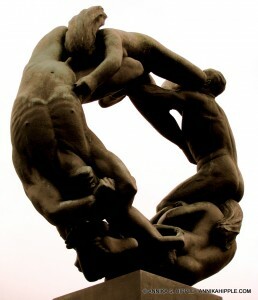 In 1889, Vigeland made his artistic debut at the Norwegian State Exhibition with the sculpture group Hagar and Ishmael. Over the following decades, Vigeland honed his skill both at home and with extended stays in Denmark, France, Italy, and England. Despite his talent, making a living as a sculptor proved difficult. From the late 1890s until 1902, for economic reason, Vigeland accepted a series of commissions as part of the restoration of Nidaros Cathedral in Trondheim; ultimately, Vigeland produced 44 sculptures for the project, including seven painted statues carved in oak and various reliefs and gargoyles. 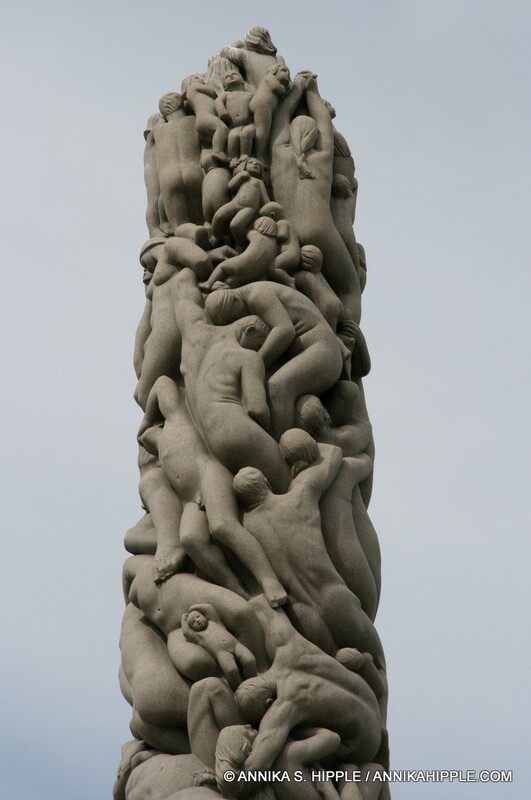 The first decades of the 20th century saw Vigeland establish himself as one of Norway’s finest sculptors. He became particularly well known for his portrait busts and monuments, and eventually for his stylistically more simplified granite carvings of human figures. 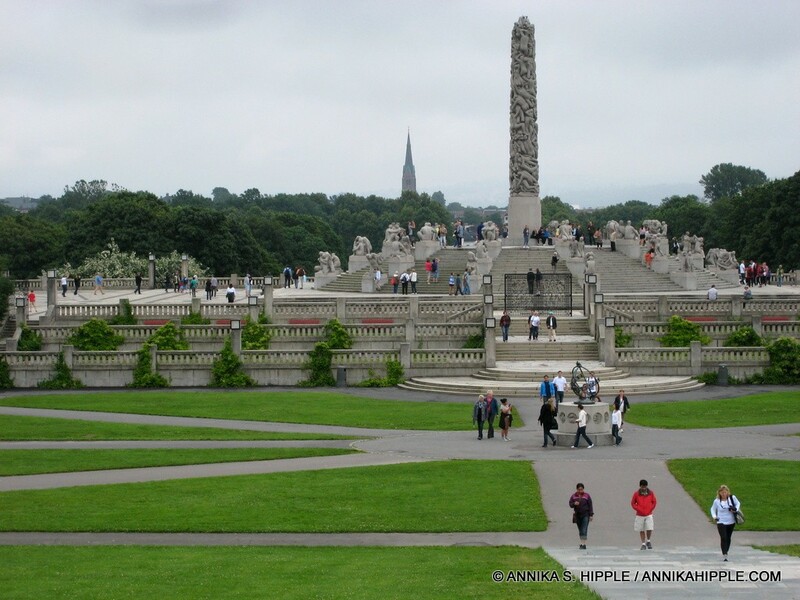 It was around 1914 that Vigeland first conceived the idea for what eventually became the monumental Vigeland Park. Upon Vigeland’s death, as stipulated in his contract with the city of Oslo, all the artist’s works became municipal property, and the studio was converted into a museum. The Vigeland Museum houses approximately 1,600 sculptures, 420 woodcuts, and 12,000 drawings, as well as other artifacts such as notebooks, photographs, books, and thousands of letters belonging to Vigeland. Although the park and museum can be visited separately and in any order, visiting the museum is good preparation for a walk through the park since it gives insights into Vigeland’s life and work. The collection includes the original plaster models for the sculptures and monuments in the Vigeland Park, which are works of art in themselves and well worth seeing before viewing the more than 200 finished sculptures in bronze, granite, and wrought iron that are displayed in the park. The sculptures in the Vigeland Park are placed in groups along a series of paths, making it easy to walking through the collection. Entering through the main gate, you come to a bridge lined with 58 bronze sculptures of adults and children in a variety of situations. 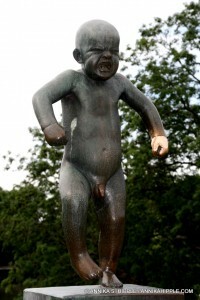 One of the most popular figures is the Angry Boy (“Sinnataggen”), whose left hand has been polished gold by the touch of millions of visitors. Beyond the bridge is the Fountain, a massive sculpture of six men holding up a large basin. 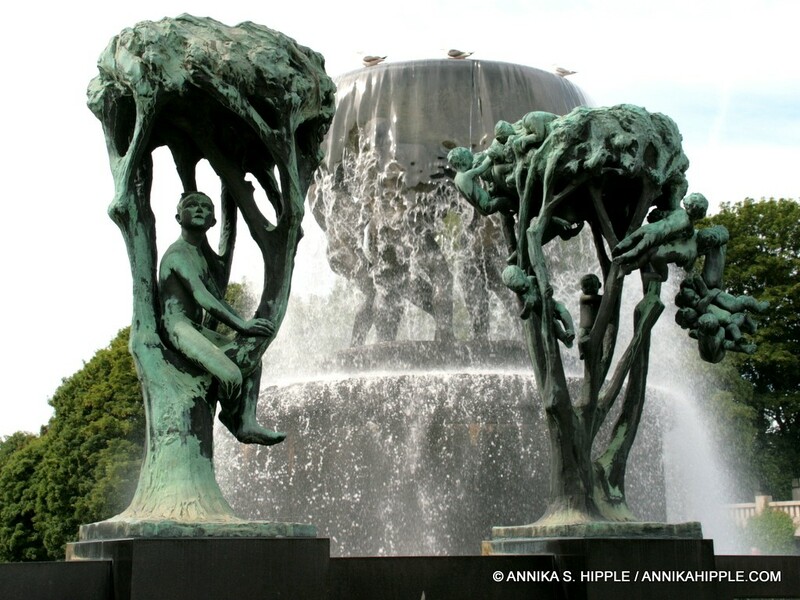 Surrounding the Fountain, 20 bronze groups of trees and human figures represent the neverending circle of life. The highest point in the park is the Monolith, an intricate pillar with 121 figures carved from a single block of granite. The imagery is said to represent humanity’s yearning for a higher spiritual plane. Around the Monolith are 36 large granite groups of figures depicting human relationships of various kinds. Other sculptures are scattered throughout the park, but the final major work, located to the west of the Monolith, is the Wheel of Life, a bronze sculpture of human figures holding onto each other in an upright circle. Whether you’ve heard of Vigeland or not, a visit to the sculpture park, at the very least, is a must-do in Oslo. 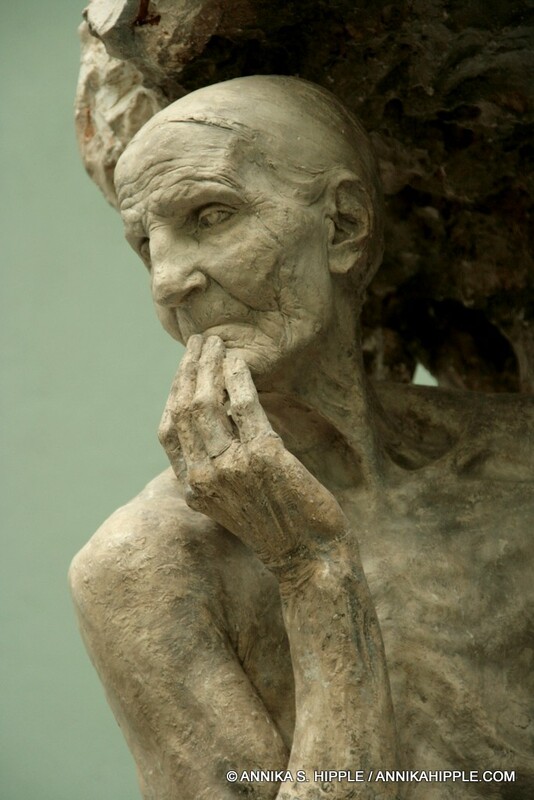 The sheer artistic merit of his work is undeniable, and the variety of relationships and emotions the sculptures portray are sure to strike a chord in visitors of all ages. Vigeland Park: Main entrance from Kirkeveien in the Majorstua/Frogner neighborhood. I was a Hungarian refugee in Oslo (1957-1961), when the city was much smaller then that it is today. I often spent my lunch hour in the park and now over 50 years later it is such a pleasure to be able to revisit these places on the internet. I immigrated to Canada in 1961 and have not been back to Norway, but I am wistfully thinking of a tour of Europe that would of course include Norway as well. I read the Dagbladet and Aftenposten on the internet regularly. Reading is easy, speaking – not so much anymore. Pity, I spoke the language like a native Norwegian when I left. Thank you for sharing your story, Kathie! I hope you do get the chance to take that tour of Europe and revisit your old haunts in Norway. Lykke til! It was nice to read about your stay in Norway long time ago. IF youer home in Canada is close by Winnipeg,come and see us at the Scandinavian Cultural Centre. This place with the wonderful sculptures depicting the human journey is one of my favourite places on earth. I first visited the park with my Norwegian husband one a cold winter’s day , when there was a light covering of snow on the ground. As I looked at the sculptures – to the strains of haunting music being played by a violinist – I came face to face with aspects of the human condition. I saw the vitality of my children, the tenderness of my parents love for each other and for me, the optimism of youth, the hope of lovers and the protectiveness of the aged. Overwhelmed, I realised that I had seen not only aspects of my past and present, but also my future, and I wept. I wept for something I did not, and sill don’t fully comprehend. I would dearly love to be able to buy posters of some of the sculptures and have them in my home. Do you have ssuch things for sale, please? Thank you Elaine, i was there in 2006 ,feel the same, but not be able to tell myself what is it.Now I understand. Scandinavia comprises the three culturally, linguistically, and historically related nations of Sweden, Norway, and Denmark. Together with Finland and Iceland - as well as the territories of Greenland, the Faroe Islands, and Åland - they form the broader region known as the Nordic countries. 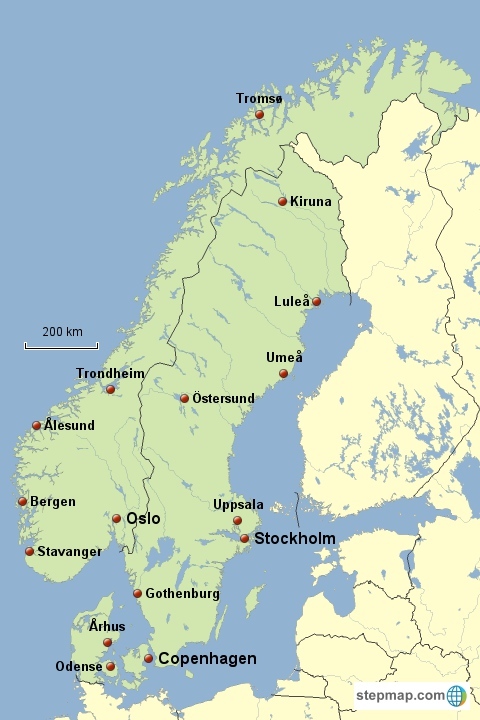 RealScandinavia.com focuses on the three Scandinavian countries but includes occasional news and dispatches related to the greater Nordic area. Real Scandinavia is an independent website and is not responsible for changes to admission fees or opening hours for attractions featured on this site. Unless otherwise noted, all content on this site is copyright Annika S. Hipple / Real Scandinavia and may not be reproduced without permission.